The Yale 066s Till lock formerly the Century 104/ST. The Yale Till lock is supplied c/w cylinder rose and fixing screws, To suit 19mm maximum material thickness. Operation Springbolt is withdrawn by key Slamlocks automatically. The Yale 066s Till lock formerly the Century 104/ST. 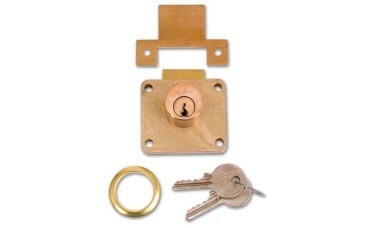 The Yale Till lock is supplied c/w cylinder rose and fixing screws, To suit 19mm maximum material thickness. Hi guys, my name is Darrel. 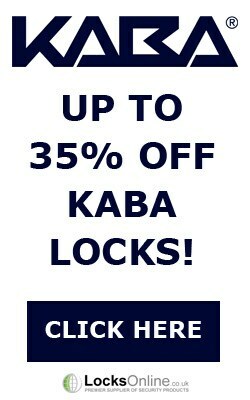 I'm head of the tech team here at LocksOnline.co.uk. Thanks for taking the time to tune into one of our product review videos. 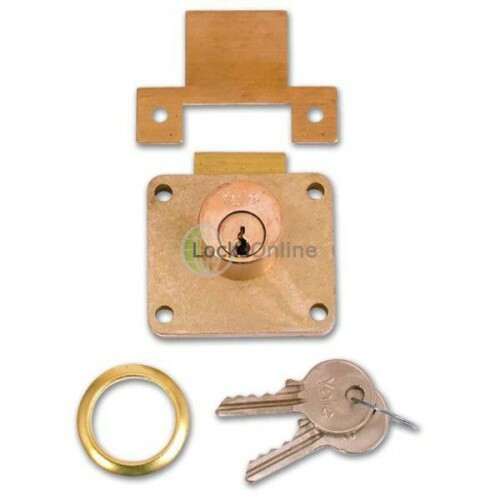 The product we're going to have a look at today is the Yale 066S till lock. It's a spring bolt till lock that designed for small little tills under counters. So without further ado, let's actually have a look at it. These are good security, because they use a pin tumbler mechanism. It's four pin, so it's a reasonably good degree of security, bearing in mind that all its doing is securing a drawer. It can only ever be as secure as the drawer. But the idea is that every time you push the drawer in, I don't know if you can zoom in there, you can see this has got a spring, a chamfer, like a Yale sort of lock. The idea is that when you push the drawer in, this is going to drop down like that, and then it's going to spring back up. That means then that it's going to lock automatically. It means that you don't need the keys in which to unlock it, sorry, to lock it. You only need the keys to unlock it. It also comes as well with a keep, which is here, and it comes with a little escutcheon and some fixing screws. It comes standard with two keys here. Now, these can, if you want it to be, these can be keyed alike. If you see, there's a key number on there. 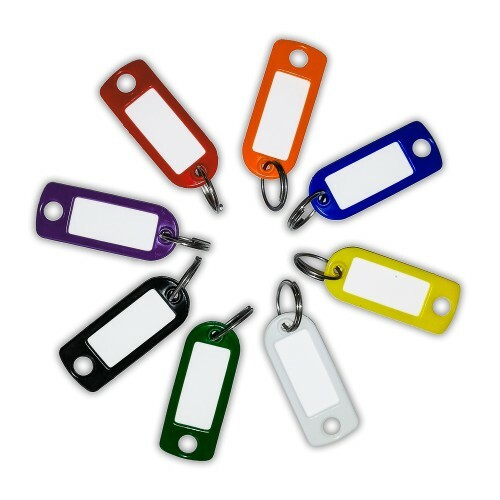 If you got one of these originally, and you got a key number, and you want another keyed alike, it can be keyed alike with that number, or we can actually supply them keyed alike, as a keyed alike option if you wanted to order a special order. 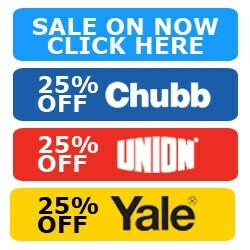 We can get them specially keyed alike for you, if you've got a group of cupboards that you want to actually secure. So, the idea that when the drawer gets closed, it automatically locks, and then you need the key to unlock it and pop the drawer back open. It comes standard with a security escutcheon or rosette. After you drill the hole, it's what sets over there like that. I won't push it on because it only goes on once and then you have to slide it back off. So that would go over there then to finish off your hole. If you're slightly out, it gives you that little margin of error. This is the actual plate then. You would actually set up, underneath like that. And the idea is that, that would sit in there like that, and this would actually give you some sort of a guide. As you push the drawer in like that, it will slide over that, until it catches into that position there. It will come in and push over that. Then it would clip into that position there. As you can see here, there's two screw fixing there as well, two screw fixings to hold that in, underneath the cabinet, underneath the till. So that's that particular style. There is a range as well, for Yale, where this particular part of the barrel can either set on its side, on either side, which allows you then also to have its lock on its side, on either that handing or it can be that handing. And those are also available on our website as well. But this is the one that's designed for a till drawer. So it sets up a vertical key hole there, as you can see. What I'll do now is I'll quickly get some measurements for you. If you're thinking, that's just the job for what I have in mind, let's get some measurements for you so you can work out whether or not it's going to fit your job. So the overall case width there, for your information, is 51mm, 51mm across. It's height there is 45mm. It's fixings centres there, in case you're thinking of having to replace it with one, that's going to be 42mm there. That's the fixing centres there. And the fixing centres this way, I'm going to say, is about 33mm. That's the fixing centres there as well. The back set measurement, which is the measurement from the face plate here to the centre of the key hole, I'll get that measurement for you now, and that's going to be 20mm. From there, to where you would start to drill in the centre of the hole is 20mm. But from there to there, which is quite a critical measurement, if you want to know what that is, that's about 7mm. That's the distance from the face plate there, to there, is going to be 7mm. The diameter of that, there, I can get you that, is 21, 22mm, there abouts. And its projection, how far it sticks out, is also 22mm. So that's that. The body thickness, I'm just going to give you that one as well, we're talking here 7 mil, 7, 8mm thickness. So here you go, it's the Yale 066S. 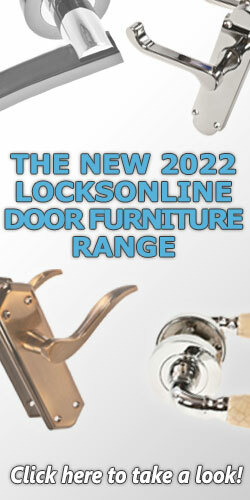 It's now available on LocksOnline.co.uk. 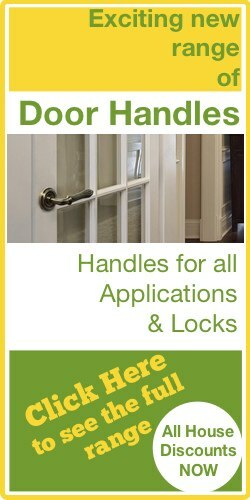 It's a very, very popular lock, to be honest with you, because there's so many applications that it can be used for. Like its sisters as well, you can buy it handed, spring-bolt version, handed left and right as well. There is a deadlock version as well, available on our site, and we preview that at another time. So from me, Darrel, and all of us here at the LocksOnline team, I hope there's enough information there for you to make an informed decision. But listen, if you need more information, please give us a call or hop online or use our live chat on our website. Either way, we'd love to hear from you. And more importantly, we'd love to see you as a customer. So from me, again, take care and catch you later. Bye-bye now.